The Summer of Valiant keeps chugging along. 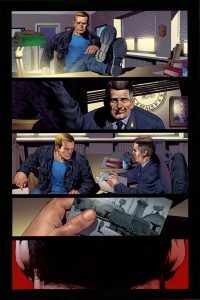 Valiant Entertainment has put out a 4 page colored preview of Bloodshot #1. 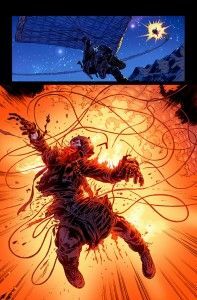 Keep an eye open for Bloodshot hitting your comic book store’s shelves July 11th, but check out this awesome preview of what you’ll see in the first issue. 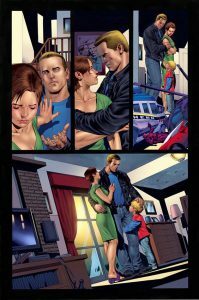 The first issue will be written by Duane Swierczynski, and art duties will be tag teamed by Manuel Garcia and Arturo Lozzi. But, enough about that, continue reading for some pretty pictures. Your name is Angelo Mortalli. Your brother is trapped behind enemy lines and on the verge of, no, that’s not right. Your name is Raymond Garrison. You’ve retired from the dangers of the field, but a desperate plea from your oldest friend plunges you into a vicious firefight that, no, that’ss not right, either. You are Bloodshot. You are the shade of gray that freedom requires. The perfect confluence of military necessity and cutting-edge technology. A walking WikiLeaks that is a powder keg of dirty secrets waiting to explode. But now you’ve just been captured, and you’re about to find out once and for all what’s more deadly: you or what’s inside your head. 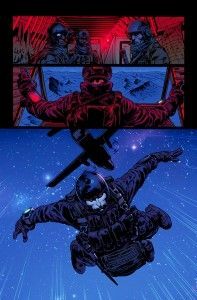 This July, every mission is a suicide mission and even death won’t stop your tour of duty. Go back behind enemy lines with one of comics’ all-time bestselling heroes when Valiant unleashes Bloodshot #1, on sale July 11th!